[prodDesc] => This pleasurable combination of dark chocolate, caramel and sea salt will always delight your palate. [prodDesc] => Up front aromatic sweetness from apricots, followed by pungent heat of prepared whole grain mustard. Refrigerate after opening. [prodMetaDesc] => Up front aromatic sweetness from apricots, followed by pungent heat of prepared whole grain mustard. Refrigerate after opening. [prodDesc] => Tomato mustard? You bet! This one is rich and savory with a surprising pop of sweet and salty sundried tomato. Blend it into marinades and sauces or simply spread onto a sandwich for fabulous flavor. [prodDesc] => Kansas City Barbecue starts with a rich tomato base, mixes in some brown sugar, molasses, vinegar and garlic, and ends up with a sweet and smoky sauce that goes great with chicken, brisket and ribs. [prodDesc] => This salt is known for its large pyramid shaped crystals and is a favorite among professional chefs. Light and fluffy with the mild taste characteristic of Mediterranean salts. Used for cooking and baking as well as garnishing fish and vegetable dishes. 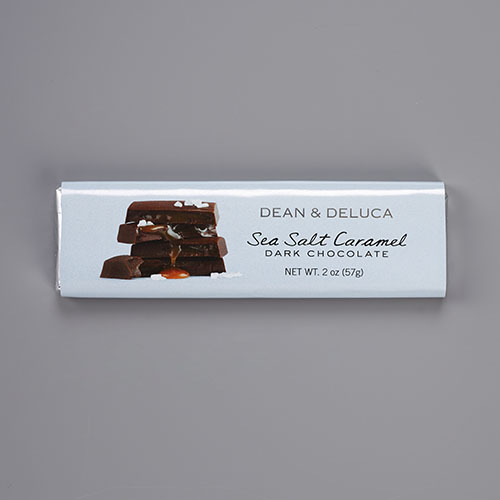 This pleasurable combination of dark chocolate, caramel and sea salt will always delight your palate.